So it's time to report in for Q4 of the 2017 Finish-A-Long! I am happy to say I finished 4 for 5 this quarter, and the only reason I feel badly about number 5 not being finished is because I let it get the best of me. I don't like that feeling, but it's the reality, and I think this month (quarter?) I'll finally be able to face it. I sure hope so. But still, I did finish 4 projects on my list, and I'm perfectly satisfied with that. 1. 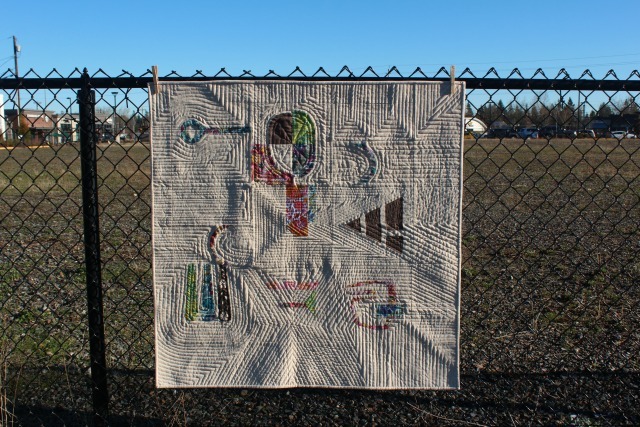 First up was Venti, second in my series of tumbler quilts. 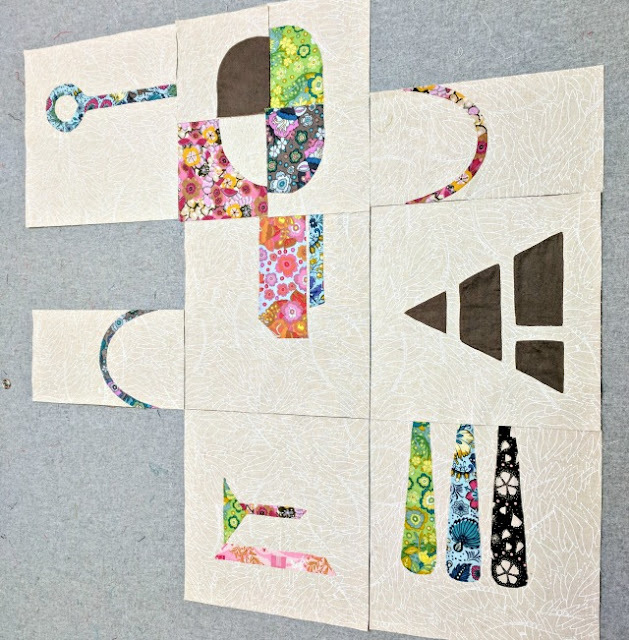 I was actually midway through quilting at the beginning of the quarter, so a finish was pretty predictable. 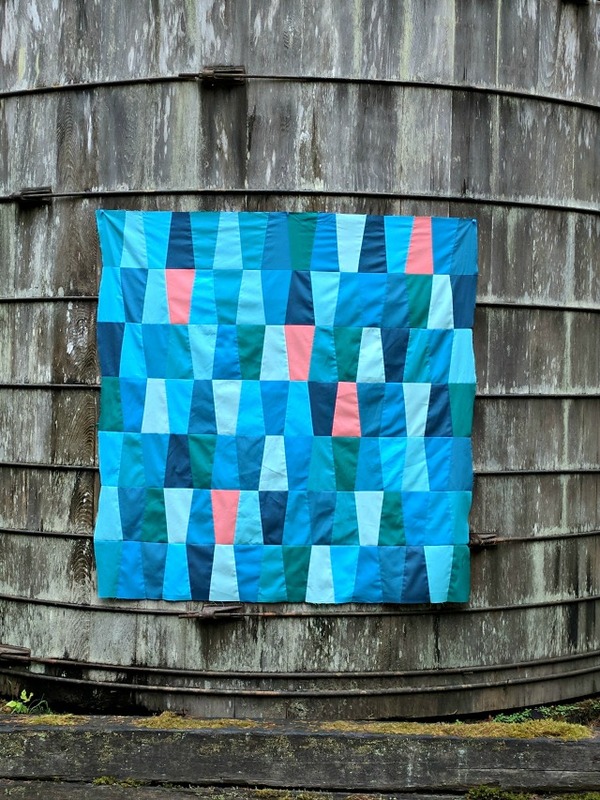 This one was an experiment in value, and I fully expect more such experiments and tumbler quilt in my future, tho not necessarily in the same project. 2. There were just a handful of improv spikes when I added this project to my list, all created from my scrap basket. spikey was the happy result. I really enjoyed these improv blocks and the crazy scrappy palette. 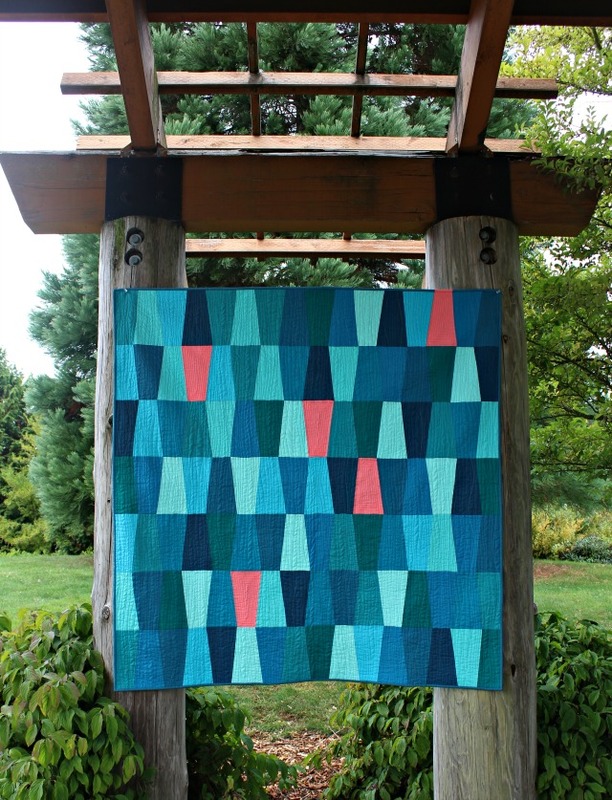 In finishing it, I tried a new-to-me quilting design that felt a perfect match for those spikes. 3. 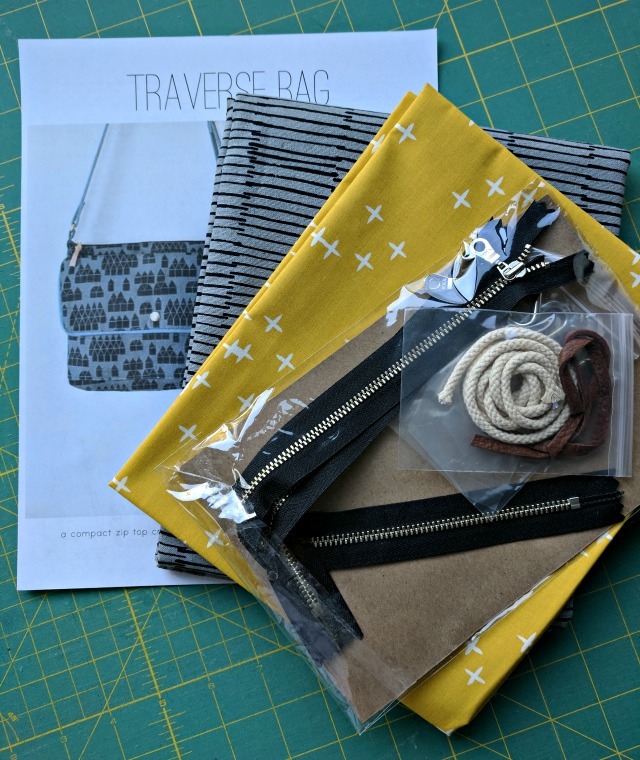 For a few years now, I've made my own everyday bags, and this time, the Traverse bag by noodlehead called my name. 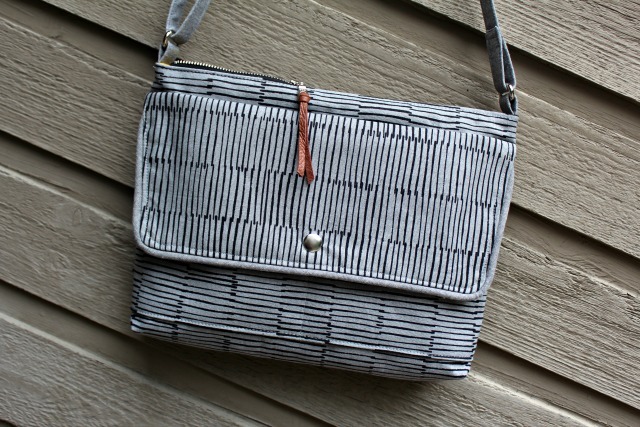 Working with my fabric choices and the hardware I purchased right from noodlehead made this bag a joy to sew together. I made the large version, and I've found it so roomy, I haven't even used the pockets under that snapped flap, but I do love the look! block of the month project last year. I hadn't appliqued in so long, I pretty much devoured each month's block assignment. And it felt great having this as my first finish of the year. Soooo.... one big, challenging project will carry over on my Q1 list, and the rest remains to be seen! If you'd like to join the Finish-A-Long for 2018, here's all the info. It's a fun, low-pressure way to keep moving on those works in progress! Linking up with the 2017 Finish-A-Long Q4 linky. great finishes! I'm so glad I bowed out of Q4! I did do some quilting/sewing but none of it was really planned! And all such beautiful finishes. 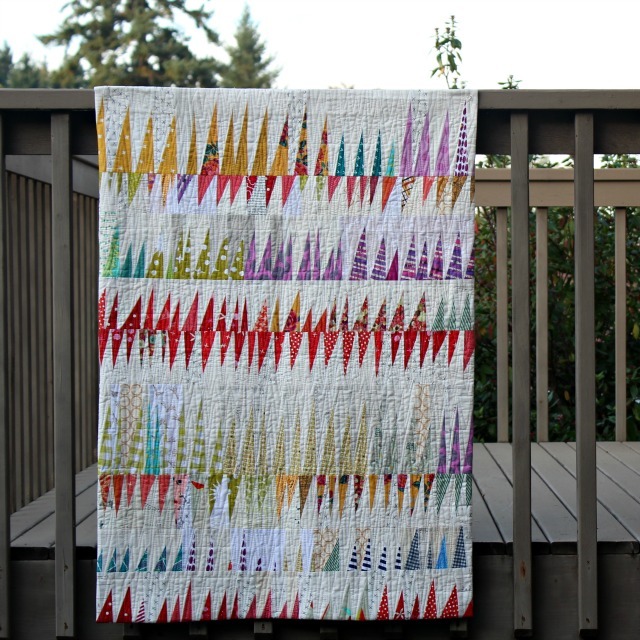 Having a quilt get the best of you isn't a fun feeling, but sometimes they need to marinate for the right inspiration or verve to dive in. You had a great quarter Deb! 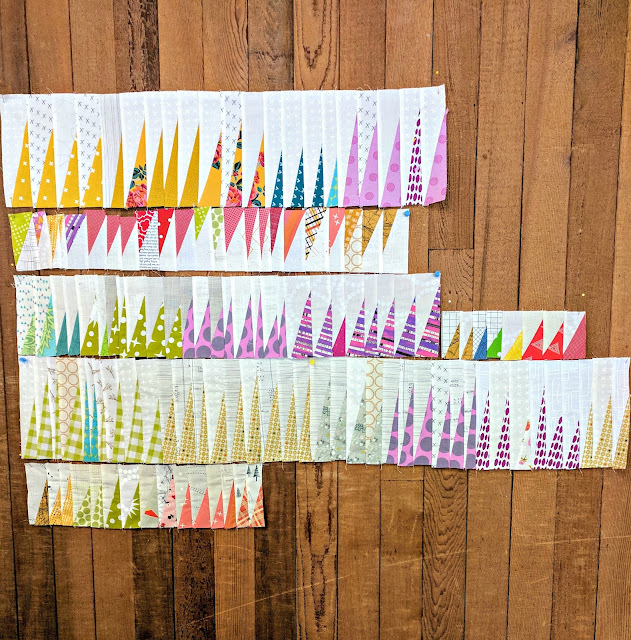 Such a fun variety of projects, too! Great job completing each and everyone. Beautiful work. Love your work and great finishes!